In western medicine, acupuncture is best recognized for its role in pain management. It may be effective as the only treatment against pain, or as part of a program involving other approaches as well. Types of pain that seem to respond especially well to acupuncture include back, neck, and shoulder pain, sciatica, musculo-tendinous conditions like tennis elbow, and some types of headaches. Some forms of abdominal pain, pelvic and menstrual pain, and nerve pain may also respond. Research also looks promising regarding the use or acupuncture to treat asthma and nausea. In 1997 this country's National Institutes of Health (NIH) issued a statement on acupuncture and it's role in modern health care. It stated that there is good evidence to show that acupuncture does indeed work in the above-mentioned conditions. It concluded by declaring that "there is sufficient evidence...of acupuncture's value (0 expand its use into conventional medicine and to encourage further studies of its physiology and clinical value." Practitioners from a number of different backgrounds may offer acupuncture. 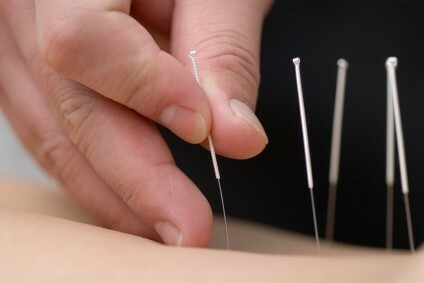 A physician acupuncturist has studied the techniques in addition to obtaining training and licensure in Western medicine. Non-physician acupuncturists are graduates of either schools of acupuncture or oriental medicine. Acupuncture has helped many people who have not responded to conventional medical or surgical management but there is a tremendous difference in the response to acupuncture from patient to patient. Both the number of treatments needed and the frequency varies from person to person. In general, complex or long standing conditions, such as pain of many years, will require one or two treatments a week for several months. Treatments will often be spaced increasingly further apart as response develops and becomes more enduring. Alert your practitioner if you have a bleeding tendency, pacemaker, metal sensitivity, or are pregnant. Do not eat an unusually large meal immediately before or after treatment. Continue to take prescription medications as directed by your regular doctor. Policies differ among insurance companies. Check with your insurance company for specifics regarding your coverage.